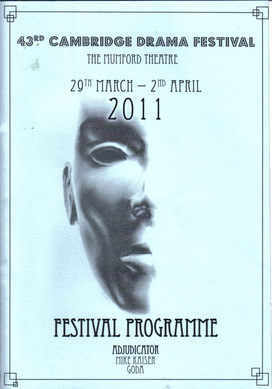 "Caught in the Act" was the CADS submission to the 2011 Cambridge Drama Festival, where it won 1st Prize. Jordan Worland won the award for Best Actor and Bernie Parsons was nominated for the award for Best Actress. The play was subsequently performed in Royston as one half of the "Evening of Love" devised by Kathy Wholley and Louise Atkins.